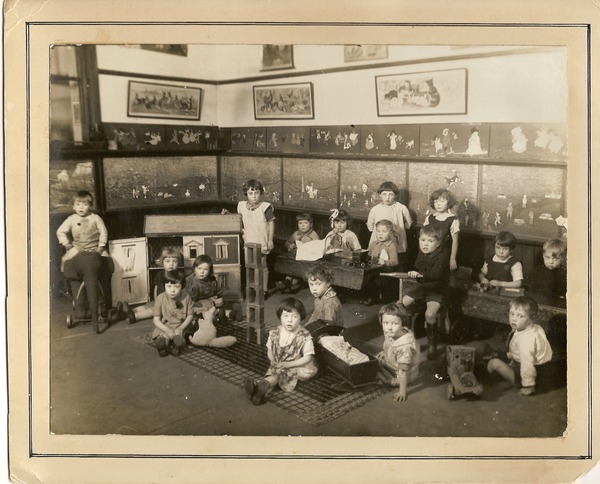 This photo was taken in about 1930 My father, Kenneth Kerry (1926-2010) is the very neat little boy sitting at a desk with his hankie pinned to his chest. He attended several Bradford schools in his early years but his best guess is that this school is Fagley. What an interesting photo. Not like any other school photo I have seen. More like a nursery and yet clearly it's not because the children are too old. Very interesting.